Please feel free to contact us with any questions you have. We are always happy to assist you with additional information. Manning Homes is committed to building quality homes that are designed for your needs and focused on your dreams. With over 30 years of service to central Texas, we are known for providing exceptional service and support. Whether you already have your own lot, or you are looking to find that perfect location, Manning Homes is here to help you build your new home. From luxury custom designs, to quality starter homes and investment properties, we offer the complete homebuilding experience focused on you. .
You will be the priority throughout all phases of construction of your new home. We work diligently to find the finest lots, in pristine subdivisions of the surrounding area. Each home is tailored to complement the lot and constructed with great attention to detail. Over time, this strategy has proven to produce quality houses that maintain their value. We strive to provide you with a commitment of excellence, flexibility in design, quality construction, and service after the sale. At Manning Homes we apply our years of home building experience to every plan that we design. Over the years, we have developed a portfolio that contains thousands of plans which encompass a wide array of amenities and styles. With in-house design capabilities we are also able to produce a plan tailored for you. Contact us today to get started. Discover what makes us the choice to build your dream. See some examples of our past projects. 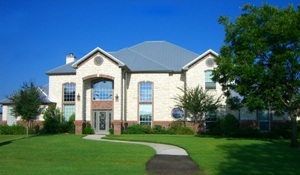 Thousand Oaks III, in southeast Copperas Cove, situated in the beautiful oak covered hills of Central Texas.